Head on over to Right at Home to see more of what they have for the Holiday! Thanks so much for stopping in today! Oh, I like this! The wispy pine and berries are so pretty!! I love this! Right up my CAS loving heart alley! Beautiful card, Laurie! Love the glitter tape accent :) Thanks for sharing! 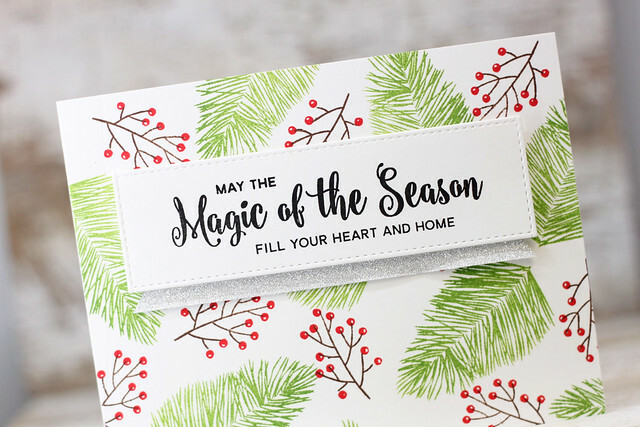 Love this festive card, Laurie! 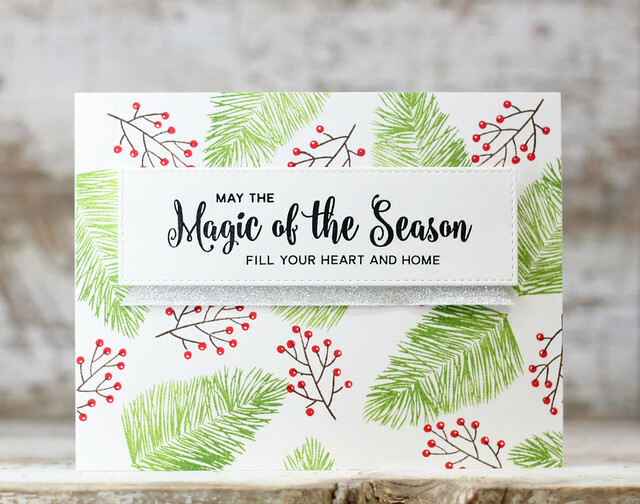 The variation on your green inks is so pretty, and I love your sparkly 'glitter ribbon' under the sentiment! So lovely!